One of the things I admire about my wife is her hope. She understands anticipation for better things to come. She is patient with less-than-optimal situations and has confidence that doing the right things today, will make the future a better place when we get there. Her hope is evident in many ways. Some might say that explains a lot about why she married me. Our homestead, however, was the example I had in mind. Here lately, a few days of warmer temperatures have manifested themselves and she was quick to leap into action. 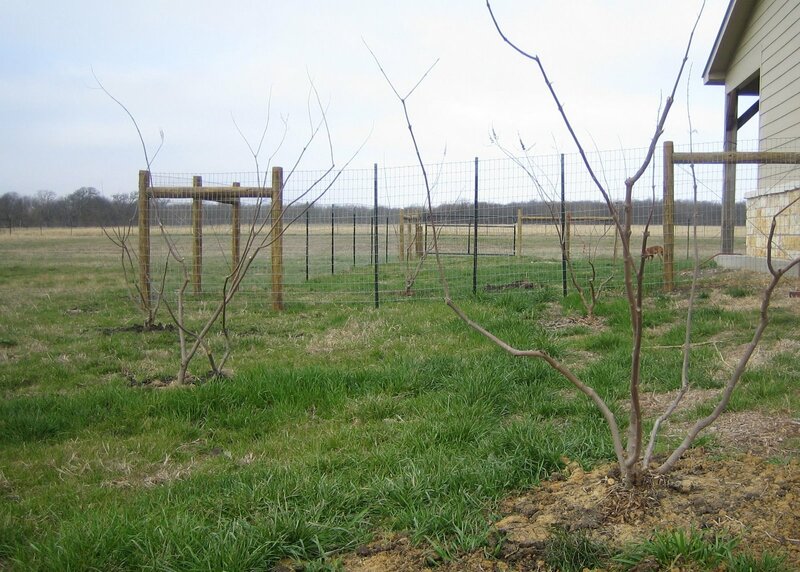 She created the “five-tree-grove” by relocating five Vitex plants from too near the house to the south side of the house. Here at the end of winter, it is a bunch of sticks. Hopes says, it’ll be a shady grove one day. In addition, she finally enjoyed the completion of the “backyard” fence. That means that the entire backyard is enclosed and will keep the furry rascals contained. More importantly, that means that she isn’t forced to take four, or five, or six dogs outside on leashes and stand in the cold while they each try to find just the right place to “go”. At least they’d have you think that is their plan. In reality, I suspect that they are quite skilled at tying sophisticated knots and enjoy creating bird’s nest tangles for us to sort out while they snicker to one another and snooze on my bed. 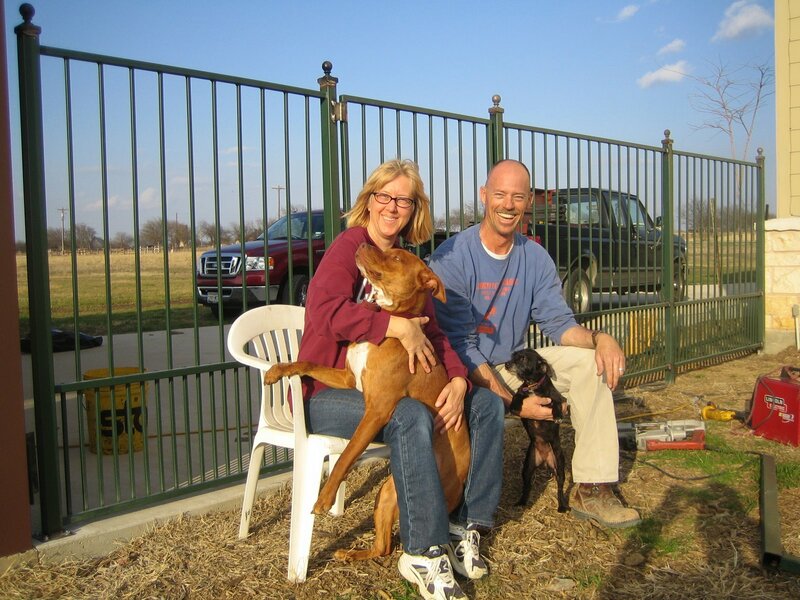 Here is the final segment of the fence, the craftsman, two leashless dogs, and one happy woman. who is that little black dog?